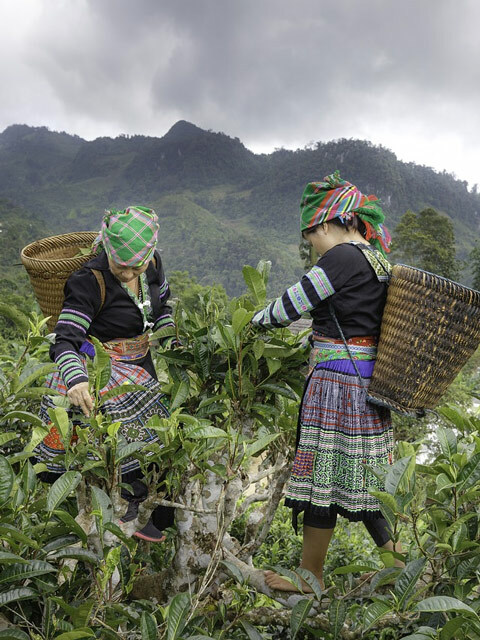 A lot of people are understandably confused by the Fair Trade industry; what the requirements, how are they checked and who actually benefits when shoppers choose to purchase fair trade tea and other products. These are good questions so let's see if we can provide some good answers. Firstly what does being considered a Fair Trade member mean? Fair Trade membership requires that the working conditions of employees be decent and they be respected, that farmers and growers receive a fair price for their crops, that those same farmers practice sustainable land management and that the environment be protected and most importantly that workers are empowered. Read more about the standards here. So it's just about us paying a bit more? The Fair Trade principals require that we as buyers pay producers a minimum price for their goods as set by the Fair Trade organisation. The base price paid is set based on the item being purchased through a consultation process with farmers and workers to ensure that it is fair. Further to this a premium is paid with the express purpose of being used to improve the social, economic and environmental conditions within the local community. Involvement can stop there but we like to go a little further so in addition we work directly with some of our growers and their workers to improve the facilities and opportunities that are available including volunteering to provide assistance with construction, providing children's education and delivering medicine and vaccinations. As lovers of loose leaf tea it is important to us that the people who work hard to ensure the best product reaches us and our customers are treated fairly and given ever opportunity to succeed. Is every product eligible to be Fair Trade? The Fair Trade program was developed to support and empower disadvantaged producers around the world by promoting economic development, environmental protection and sustainability. While farmers in developed nations including Australia face issues of their own the social security systems of those developed countries mean that an organisation like Fair Trade isn't required to protect those producers. Red Leaf Tea isn't a large company we are a small business but that doesn't mean that we can't still have a positive impact by putting vulnerable people ahead of our own profits and with the loyal support of our customers we are making this a reality. This is the reason why when we source ingredients from developing countries we ensure that we only use Fair Trade approved growers or small family owned businesses that we deal with directly where we can ensure that the growers receive a fair price for their produce.